I launched another business, because that’s what I do. Here’s the story. A few months ago, I made a contribution on GoFundMe for a family member in need. I was surprised at how much money was taken by the middlemen, profiting off of my family member’s tragedy. I thought, “I could offer a better service for less.” So I built FunderCat. As you should be. I scoured domain registrars for hours, searching for a cool domain name that was still available, and when I stumbled on FunderCat.com, I was sold in a heartbeat. I have yet to introduce the name to someone else and fail to see a smile grace their lips. Now you’re probably wondering what makes FunderCat better than its competitors. Well, to begin with, we’re not charging anything (at least for now). There is a 3% payment processing fee, but that’s beyond our control. Other crowdfunding platforms typically charge 5% on top of the 3% payment processing fee. To put this into perspective, if you raise $10,000, you’ll make $500 more with FunderCat than you would with Kickstarter, GoFundMe, or IndieGoGo. Second, you’ll get featured. Because we’re just getting started, your campaign won’t appear at the bottom of a colossal slush pile as it would with other crowdfunding platforms. Your campaign will actually get seen, increasing your chances to find backers. Third, flexibility. Not into the whole “all or nothing” thing? Want to change your goal or extend your deadline? 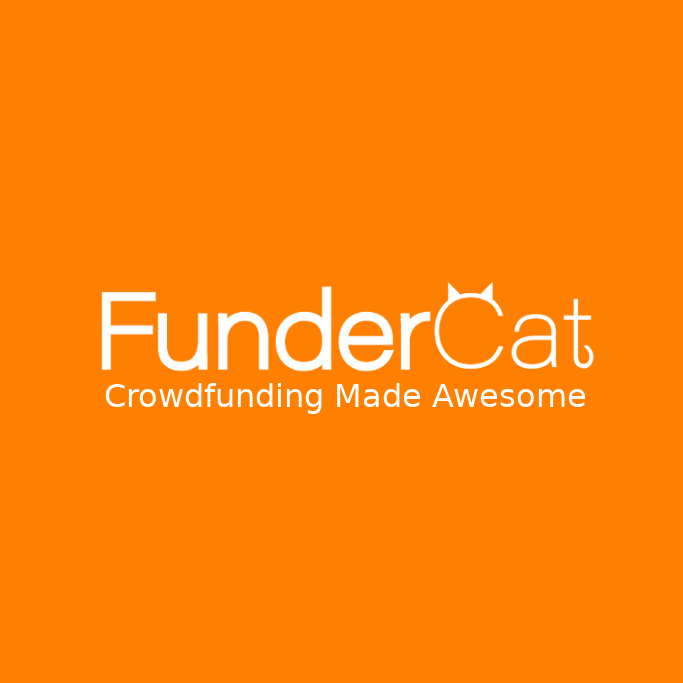 FunderCat aims to offer more flexibility than any other crowdfunding platform. In the near future, FunderCat will provide a space where anyone with an idea can collaborate with artists, engineers, and marketers. Our mission is to make it easy for you to raise the funding you need to make your dreams a realities. Know anyone who needs to raise funds? If you create a campaign by the end of this week, you’ll be locked into our free, introductory offer of no fees and will be guaranteed to be featured on FunderCat’s homepage. (Obviously, we can’t give our services away for free forever, though we pledge to to keep our rates competitive.) So click below to get started with your own campaign or please spread the word to someone who may be interested. Thanks!